Of the world’s 6,500 people groups, 2,500 are still unreached. 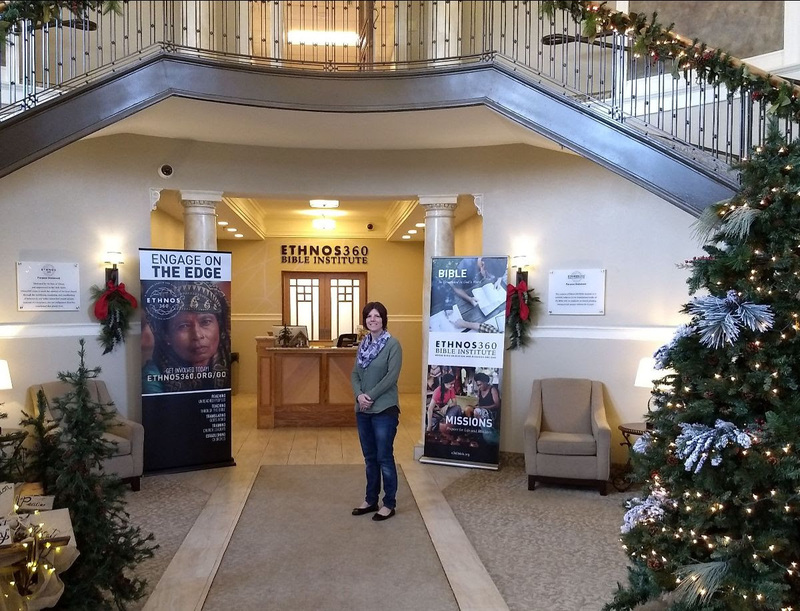 Ethnos360, founded in 1942 as New Tribes Mission, helps local churches train, coordinate and send missionaries to these peoples. 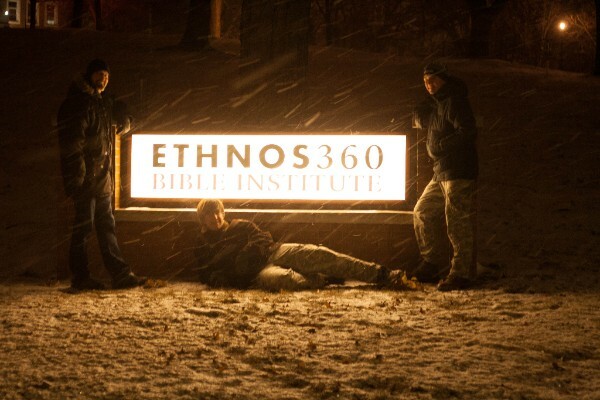 Why have we changed our name to Ethnos360? Because we’re positioning to reach a changing world. That’s a far-reaching vision. A vision that represents God’s heart for the world. A vision that’s worth our getting passionate about and working together to make it a reality. That vision hasn’t changed, but the world has. We face new challenges, and we are learning to face them together — relying upon God to unite His people to overcome them for His glory. Time to be involved in God’s story! The beautiful praise songs filled the whole room! A new semester started here today and this huge building full of Jesus followers are actively shining His light. They are also spending 2 years studying the Word to be more prepared as they take His light out around the World. We are super thankful to be here. We know God is growing all of us. We are enjoying the adventure of shining for Him. Thank you for partnering with our family so we get to be here among these crazy amazing Jesus followers! I’m sitting here at the reception desk for the Bible School, and there is so much excitement in the air! The students are racing down the halls for their exams, marking the end of their semester! How can it be that Reece is now a Sophomore? His semester has been filled with incredible relationship building and memory making…but from the inside, in the students’ world. While Dave, Clark and I continue to have students in our home into our world. It’s really interesting seeing the two worlds work hand-in-hand. Dave passed his Seminary Greek class! 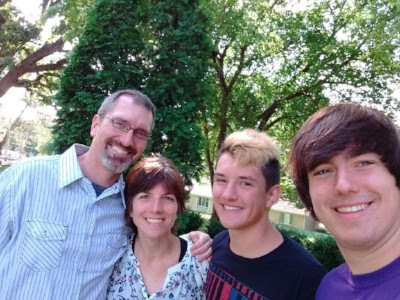 God helped Dave keep all his plates spinning this semester, while at the same time taking a once a week night class at seminary which he loved! We have so many praises! 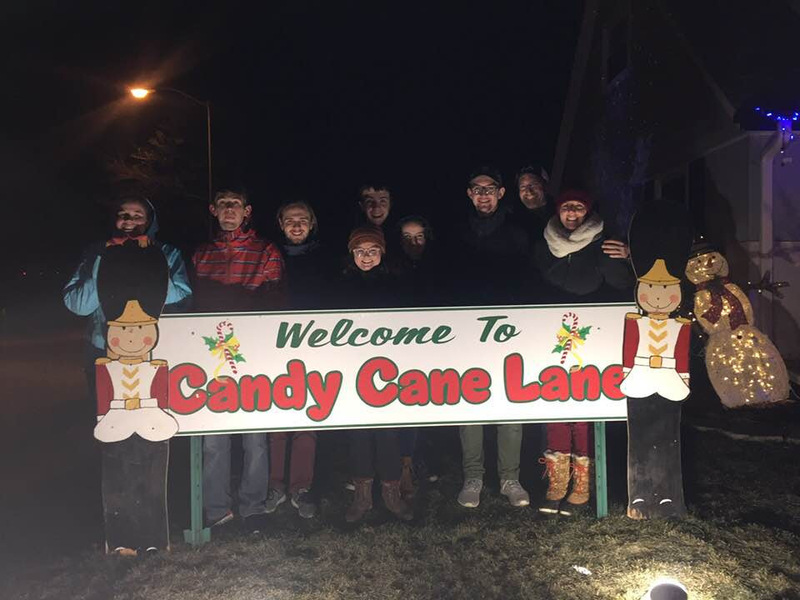 Clark was invited to a high school Bible study, which is perfect timing! God always knows what we need, when we need it! God has given us good health and strength to keep up with this exciting, extreme pace of college life! We 4 get to be home together for Christmas!! Your prayers for us mean so much! Our family is doing well here at Bible School! Thank you so much for praying & partnering with us! Reece is thriving as a Freshman here at Bible School. He has amazing friends, is loving studying the Word, and has great stories from his job as a public school bus driver. He doesn’t get enough sleep because of all the homework plus endless social opportunities. 🙂 We miss having him home, but could not be happier for him in every way. Clark is maturing into a godly young man who is respectful, loyal, caring, and very wise. 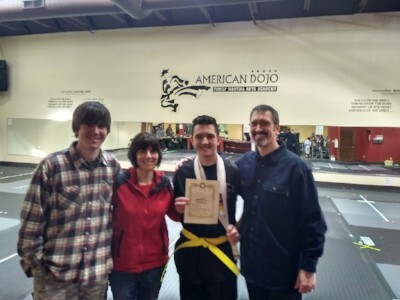 He is acing school, loves playing guitar, studying martial arts, and is just about to get his drivers license! He does miss his brother as they are best friends, but the 3 of us have begun new family traditions as a three-some. We are enjoying this year together before he gets a job this summer when he is 16! …So much change for poor Mom! Dave & I are racing at the pace of 18-22 year olds! The activities around here are never-ending and we pick and choose how many we can be involved in. We love our girls/guys dorm family who we spend extra time with. We make time for a lot of one-on-ones. Dave is a leader over the teaching team, and is needing 2 new teachers since a couple retired. The load on the few is heavy right now. We get a front-row seat to the students’ growth, which is a testament to God’s Word being active through classes, dorm life, friendships and everyday life. God is at work, and the beautiful lives here continue to encourage us every day! Thank you for your love & prayers. We are so thankful to be here!! It feels strange for Dave, Clark & I in our new lives as 3, but we are super happy for Reece to move into the dorm!! He is 100% excited for these next 2 years and EVERYTHING that God has planned for him. Each dorm room has an RA, and they just finished a week-long leadership camping trip. We loved being able to join them and get to know these AMAZING men and women who are so in love with the Lord and love serving. We just shake our heads at their strong faith and love being able to know them. 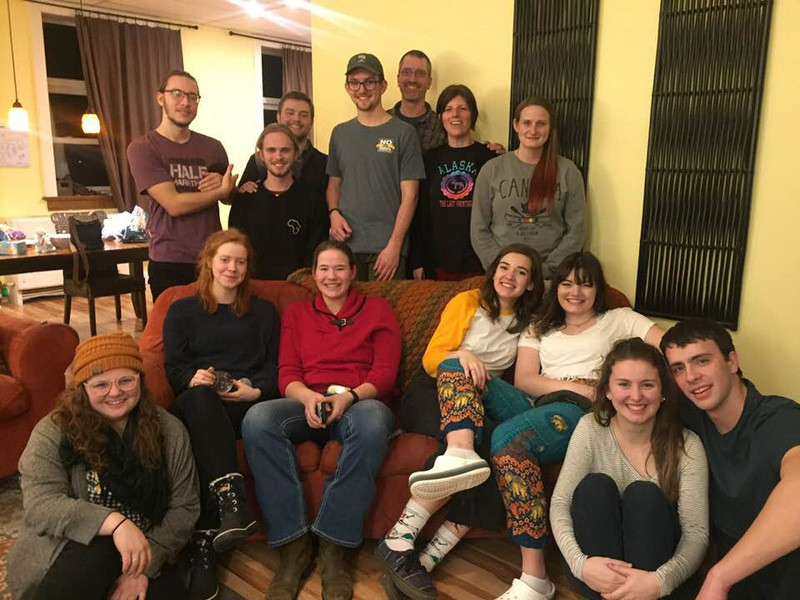 Last year was busy for Dave as he taught full time here at Bible School, oversaw the teaching team, studied for his Masters, and life here with the students etc. 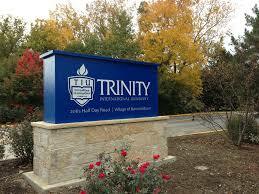 But we have found some ideas to add margin back into his schedule, while continuing his next class at Trinity. We will keep our eyes open for overload. Please pray for wisdom and strength as Dave and studies what he loves so that he can better teach the students here. Clark is in 10th grade! Clark will be doing on-line school at home this year and we are so thankful we get to have him with us! He is super excited to get to know the 15 guys and girls that are in our dorm family this year! Clark loves every chance he gets to hang out with the students! It’s going to be a GREAT year!! What will I do this year? I’ll bake cookies and text Reece that cookies are ready and to bring his dorm room down for coffee and cookies. 🙂 (It worked the 1st time:) I’ll also keep busy helping in child-care so student moms can go to classes, and I’ll help at the front desk answering phones. I also look forward to teaching Clark well, as these years with him home are priceless. I will also enjoy investing in my dorm girls. We are off to a new year full of transition and excitement!! Thank you for being our friends and prayer warriors…we need it!! What has April been like? I (Kim) was just on our porch (here in the big Bible school building) having lunch with a student, while students were all over the front lawn enjoying the sun rays. I also saw Clark and a bunch of staff kids playing frisbee with them and Sarah commented, ” your life here is so amazing, but so odd at the same time. 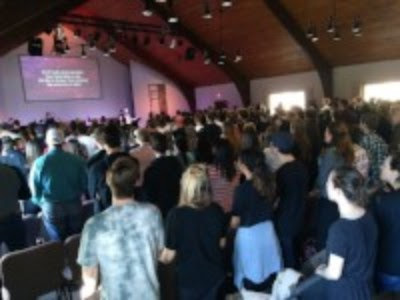 ” What she meant by amazing is the absolute privilege of being constantly surrounded by God-loving young people who touch our lives every day with beautiful Jesus. And what she meant by odd, is how this unique life is daily normal life for us. We live in a unique place for sure, and we thank you from the bottom of our hearts for your support and prayers that allow us to even be here. This month Dave has a paper due and his final exam for his class at Trinity. In his world here at Bible School he just started teaching a new class which happens to be a class he just took at Trinity, so he has a lot to offer the students. Reece turned 19 this Month. He is working at a furniture store saving to come to this Bible School in August! He is wanting to go on a missions team to Brazil this June and is trusting the Lord to bring people along to support him to raise the $ needed. Clark turned 15 this month. He is helping Reece on a fence-building project, and is doing amazing in 9th grade!! He has found that he absolutely enjoys guitar and also martial arts. Our sister Bible school from Michigan is visiting this weekend! They are here for fun and sports and to try to win the cup. This morning we all met for chapel to sing together and listen to our guest speaker. The singing was amazing!!! I wish you could’ve heard it! Thank you to our supporters and prayer partners for your partnership so that we get to live among these amazing God-lovers!! We are so privileged for the relationships we get to enjoy and all the life we get to spend with our students. Dave, Kim, Reece & Clark Field. 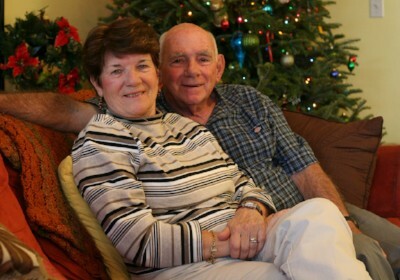 We got to have my (Kim’s) parents here during Christmas break! We are so thankful for the awesome memories we made with them! Clark is loving his martial arts class and just graduated to the next belt level!I He is doing so great in school too!! Reece is working hard at his job so that he will save enough to attend Bible School here this Fall. Thank you so very much for praying for our family in this brand new semester! God has some great plans for these students and for us as well! 17 Of our awesome Bible school students graduated today!!! Praise the Lord, 11 of them want to be involved in full-time ministry!!! The others are not sure exactly what the Lord has for them next, but they are “moving forward” with the Lord as their guide. There is nothing better than knowing our students know the Lord, are in love with Him and desire to follow Him all the days of their lives! Celebrate with us at this good news! Thank you for partnering with our family so that we can be a part of the lives of the students here as they learn, grow and prepare for what the Lord has for them next. #1 While Dave was teaching full time this semester, he was also continuing his education at seminary. (He takes one class per semester…the 5 year plan:) He learned a ton, loved the class, and passed with flying colors!! #2 God touched a church’s heart to pay for Dave’s seminary class for next semester! Dave had already registered to start the new class January 10th even though we didn’t have the funds for it yet… and then God provided the money, showing us He really does want Dave to continue taking classes. It’s sooo cool when He shows us we are doing the right thing and takes care of the path ahead of us.